The paradox of authenticity has developed into a recurring problem in mainstream hip-hop discourse. A rapper must be authentic to be respected, yet should their upbringing be morally unfound by today’s standards, they might find themselves shunned by public opinion. Conversely, those who preach what they don’t practice will struggle to find respect in a game that appears to value the real. Yet for many fans of varying demographics, hip-hop serves as a gateway into another world, a vicarious glimpse into conditions unknown. Occasionally, such conditions breed violence as a means of survival, a lifestyle that’s difficult for the inexperienced to understand. As with all good storytelling, it helps to have a reliable narrator, capable of sharing truths both vulnerable and brutal. Revealing the darker corners to better put the light into context. Nipsey never shied away from the lifestyle he chose. Yet he also understood the importance of moving forward, of finding an answer wherever a question might arise. When he died, he died a pillar of his community, an influential figure to thousands. Few dwelled on his gang-affiliation, because that same affiliation helped him understand those living under similar circumstances. It’s not fair to call Nipsey’s journey a “redemption arc,” because he never sought nor needed redemption - or approval, for that matter. He simply spoke the truth as he understood it, allowing himself room to grow as both a man and an artist. His refusal to milk gang culture as a fetishized commodity spoke to his sense of respect; for that reason, his status as an authority continues to go unquestioned. Perhaps the perfect encapsulation of his spirit in that regard comes courtesy of his two-part “Blue Laces” series. In the first installment, originally released as the fourth track of his 2010 mixtape The Marathon, Nipsey paints a bleak picture of his home turf. 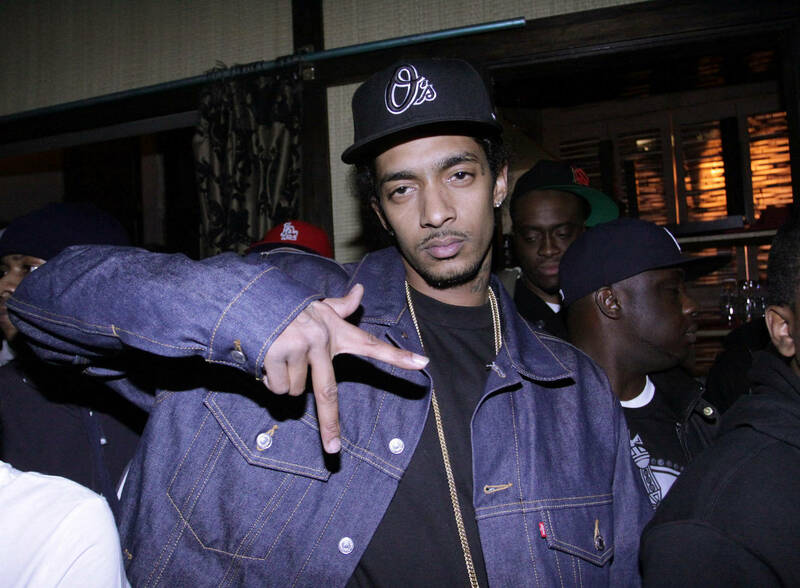 Off the bat, Nipsey stresses the complex dynamics of gang affiliation. A bleak picture, and it might be tempting to write his bars off as “promotion” of a dangerous lifestyle. Yet given Nipsey’s reputation as an honest lyricist, it’s easier to understand his declaration as a simple statement of fact. Without being subjected to the whims of the streets, Nipsey wouldn’t have been in a position to elevate to such lofty heights; not only as an entrepreneur, but as a role model for youths stuck in his former position. For those, Nip’s words hold resonance, as he details the framework of his code: understand that violence can pop off at any moment and trust a select few, lest the violence befall you. “Blue Laces” arrived during a time where “gangsta rap” felt like the product of a bygone era. Perhaps speaking on the topic with such an authoritative voice helped cement Nipsey as a promising young voice in the early-decade landscape. Rather than pandering toward musical trends, Neighborhood Nip put himself on wax, allowing outsiders to live vicariously, while giving those in similar circumstances a rallying voice. Fast forward to 2018’s Victory Lap, which found Nipsey revisiting “Blue Laces” with a newfound perspective. The mere fact that he chose to pen a sequel speaks volumes. Consider his circumstances - on the verge of being Grammy nominated, and deep into several entrepreneurial endeavors. Yet on “Blue Laces,” Nipsey deftly navigates the past and present, reliving a traumatic memory through the distanced perspective of a man at peace. Really not too spooked, calmly asked me, "Am I dyin' now?" Crackin' jokes like, "N***a, now you gon' be finally respected"
In an interview with NPR, Nipsey spoke about recording “Blue Laces 2” with Big Reese in the studio. “I went and I did the third verse and the third verse blew me away,” reflects Nipsey. “It was hard for me to get it out. 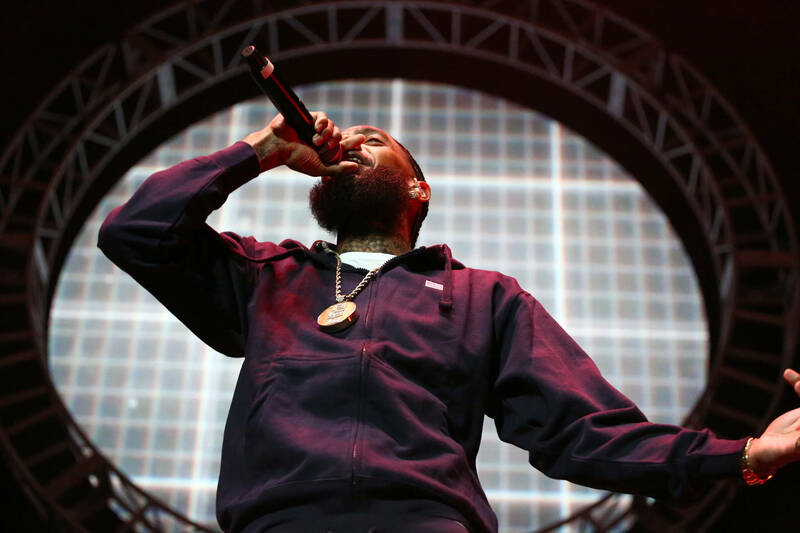 I was overwhelmed because of how truthful it was and how real it was [Reese].” It feels as if the third verse is the connective tissue between both songs, a glimpse into the man Nipsey was, living the life he once detailed in the original chapter. While his depiction of a blood-soaked beachfront shootout might feel out of place in the sequel, consider Nip’s own reflection. He originally created the song during a single studio session, laying down a single verse after another. Yet the idea that such a “real” reflection, overwhelming by his own omission, would follow the first two verses speaks to the authenticity prevalent throughout “Blue Laces.” As he carries the memory with him on wax, so too does he in reality. There is no judgment after the fact, nor does Nipsey move to distance himself from his younger self. As is his way, he simply speaks the truth as he sees it, multifaceted and complex though it may be. And we'll miss him for it.